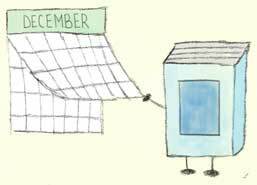 December, and really, the whole year, went by so fast. I was happy to actually fit in some decent reading time this month even with the holiday rush and actually wrote some reviews for a change, lol! I hope you're all having a great holiday season, and I wish you all the best for 2014! You did really good this month - especially considering all the Holiday madness haha! I only managed 3-4 reviews and half of those might have been novellas >.< Anyways Angelfall is a high priority read for me in 2014 - it was for 2013 too but hopefully I get it done next year :) The year really did fly by didn't it, and December was no exception...All the best to Rally the Readers in the New Year!! I need to read angelfall! It sounds so good! I loved it! I have the sequel, World After, and have been dying to read it. I'm hoping to get to it soon!